There are several routes being considered within the UK, including a connection which would see a 50-minute journey from Edinburgh to London (a journey shorter than many commutes within London at the moment). There's also plans for an arc which would connect the Northern cities of Liverpool, Glasgow, Manchester, Leeds, Newcastle and Edinburgh, and a direct connection between Scotland and Wales. 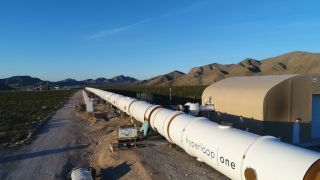 It's also worth noting that Hyperloop One isn't the only company trying to bring Hyperloop transportation to the world; with a similar name and intentions, Hyperloop Transportation Technologies is also making plans to go global and has already signed agreements with several Eastern European countries to explore building Hyperloop systems.